CAPE TOWN, South Africa - Aug. 21, 2018 - PRLog -- We are happy to announce that PeaHead Games' upcoming cyperpunk action RPG game, Neon Sword, has almost completed development. Initiated in 2012 and full-scale development taken on in 2016, the game is ready now for crowdfunding. 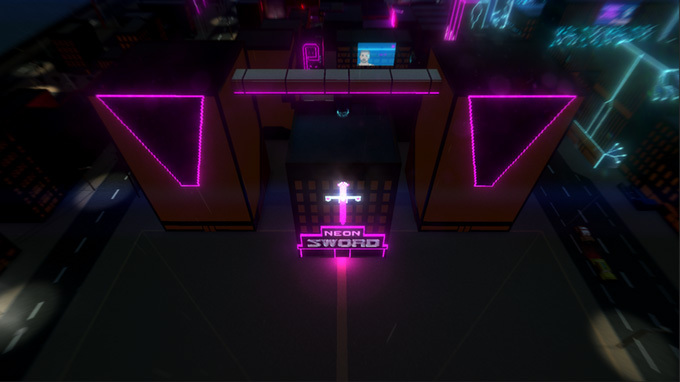 As stated on the Kickstarter page, Neon Sword is an open world 3rd person top down action roleplay game with elements of business simulation. The non-linear story has multiple choices that effect the world around you leading you down many paths; the person you become is shaped by your decisions made within the game. And the choices you make are vital. To grow you business, you can rely on commercial retail, or take to the streets in faction based violence and crime. Based in a different world, where the world has been ravaged by the effects of World War 3 and the arrival of aliens, plus the destruction of the world by a massive famine, do you have what it takes to raise your business to the top? We will be bringing you more information about the development of the game in time to come. Science Fiction and Psychological Crime Anthologies Calling for Submissions!